Ambreen Razia is an actress and writer from South London. Her critically acclaimed debut play, The Diary of a Hounslow Girl, toured nationally with Black Theatre Live and House Theatre, was featured at Alchemy Festival, Southbank and has been commissioned as a TV pilot, Hounslow Diaries, for BBC Three. Razia won Best Newcomer at the Asian Media Awards in 2016 and Eastern Eye’s Emerging Artist Award in 2017. Additional acting credits include: On the Middle Day; Words and Women; Mind the Gap; No Guts, No Heart, No Glory; Random Acts; Murdered by My Father; Finding Fatimah; Ladies Day; Ilford Lane; Killed by My Debt; and The Harry Hill Sitcom. Ambreen has performed and worked in women’s prisons across the UK and continues to facilitate workshops with young women, undertaking and discussing issues such as radicalization, body image, domestic violence, girls in gangs, and consent. This multi-talented young author discusses her darkly comedic breakout thriller. The 'coming of age' story is a fairly well trodden path. This story has much of the same stuff that has been seen many times before in the genre - a young woman finding her place between family expectations and obligations, her social life outside the family, and her desire to be more and see more, to not be trapped in the same small place she grew up in. I've read and seen this story dozens of times before. The broad strokes are the same - conflicting cultural influences (here it's modern British culture vs traditional Islamic), meeting a boy whom the parents wouldn't approve, having to decide if the love of the boy is more or less important than familial relationships, the need to live up to an older sibling who is meeting all the familial expectations. The difference her is the basis of the Islamic culture. The Pakistani-British life, and the pull between the two parts. I've seen this story told with other cultures - Greek, Chinese, Indian etc. but not an Islamic one. So is it groundbreaking? No. But it's a good story that keeps you attention. And it's an insight into the particulars of the Pakistani-British culture that I would not have otherwise had. 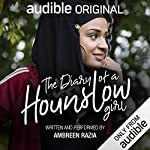 'The Diary of a Hounslow Girl' started as a stage play, and has since been (apparently) made into a TV show, and now adapted into an Audible Original show. Unfortunately, for me, that adaptation leaves a lot to be desired. The audio productions is too much here. There is sound effects, vocal effects, breathing, music and all sorts that actually drown out the play, both literally - making it hard to hear some parts - and figuratively - the music and other parts can make the 'this part is emotional' overly in your face. There is no subtlety to it. For the first part of the play the main character is running a lot. And you get loud heavy breathing through everything she says. Other points include background noise of traditional cultural music and what sounds like a bazaar, that don't really fit. During some 'deep thought' / epiphany type moments there is over the top and also has a slight (and highly distracting) echo effect on the narration. They threw as much audio effect and production as they could into this, and for the most part I did not think it added value. The last 15 minutes is an interview with writer Ambreen Razia. This is certainly interesting and it explains the process of writing and what she was trying to capture in the play. 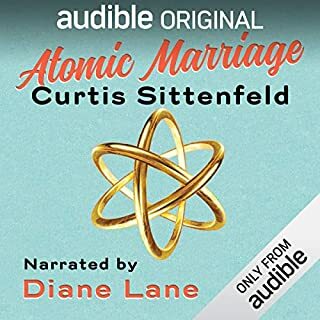 I hope Audible makes more titles like this! Let me begin by saying that I hope Audible will continue to invest in diverse books, especially ones like Diary of a Hounslow Girl by Ambreen Razia. This is exactly the type of book that I enjoy reading. Diary of Hounslow Girl is a coming of age story about a young woman who is who is caught between the culture of modern working class London and her roots in Pakistan. The play explores universal ideas such as the relationship between a mother and her daughter, sisterhood, sibling rivalry, and the pain of feeling as if one will never truly belong. "Don't forget," the protagonist's mother tells her, "You might be British but you will never be English." My favorite part of Diary of A Hounslow Girl was the brief interview at the end with Ambreen Razia. 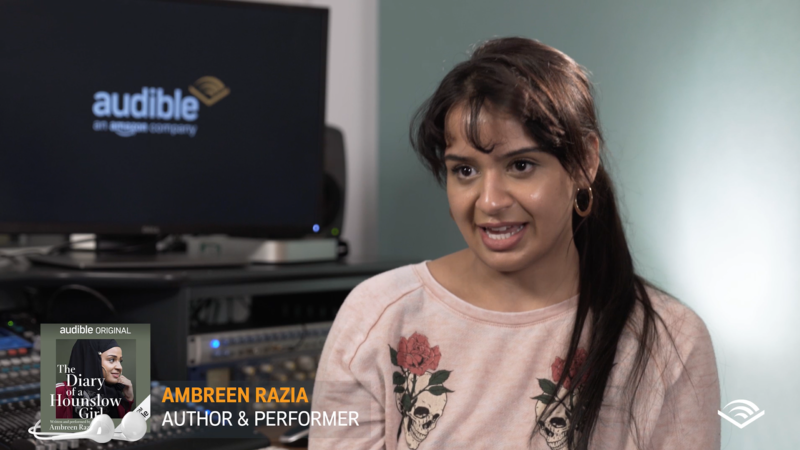 Razia wrote and performed Diary of a Hounslow Girl. During her interview, she states that she was inspired by her work with young girls who were Muslim. I am fascinated by language and linguistics and I commend Razia for making an effort to authentically represent the language of young working class Muslim women. The voices of young women, especially young women from marginalized groups, have frequently been silenced in literature. Razia is working to change that. She says that her goal was to write a piece in which a young woman who is Muslim is given center stage. Furthermore, she wanted to include a healthy dose of levity because frequently story lines that deal with people who are minorities can lack humor. She is right in her assertion that the voices of young women can bring a unique type of humor to otherwise deeply depressing situations. The Diary of Hounslow Girl does not shy away from difficult or challenging issues. This brief play grapples with issues that many young women in today's world will face, including: drugs, teen pregnancy, the termination of a pregnancy, religion, and the weight of the heavy expectations that are frequently placed on the children of people who have recently immigrated to a new country. Sadly, as much as I enjoyed the disparate parts that came together to make The Diary of Hounslow Girl, the piece as a whole fell rather flat for me. I was not able to empathize with any of the characters. Furthermore, the main character particularly grated on my nerves. I found her to be selfish, self-centered, angst ridden, and completely deplorable. I also have a really hard time empathizing with the nonchalant drug use in which the characters engage. i realize that drugs are a major issues and that many teens will face this problem; however, I know many young people from the working class who do not use drugs. There were many times in this play I wanted to reach out and shake some sense into the main character. I found her incredibly frustrating and I just wanted to shout, "Think about someone else besides yourself for a change!" Something else that really annoyed me about this play was the soundscape. The producers made the decision to record significant portions of the play to sound as if they were a video diary. The filter that they used in order to generate this effect made it challenging to understand. Even the humor in the play fell flat for me. The parts of the play were meant to be funny simply made me cringe. I just felt sad for the characters and everyone involved. After about thirty minutes of the play, I found myself increasing the playback speed to 2.5x faster so that I could get to the end more quickly (Although this is not entirely unusual for me because with my low vision I read so much on audio that is is normal for me to read at 3x speed or higher). I commend Razia's work and I admire what she is doing. The Diary of Hounslow Girl is a familiar coming of age story cast in a new light. I recommend this play for fans of YA literature because Razia manages to effectively capture the "over the top," angst of the teenage years; however, for me the play fell somewhat flat. What is up with that narrator?! She is perpetually out of breath. I couldn’t focus on the story because of the constant heavy breathing. If I could return a free book, I would. The story is fine, but there are a lot of buzzes and beeps which is not good when driving down the highway. The volume is also up-and-down because it’s more of a performance piece. And sometimes there’s background music behind the vocals, so the levels are a bit off for listening to in a car. Just something to be aware of. 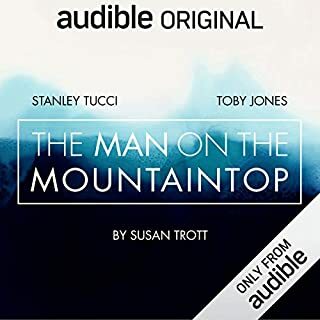 I know this was supposed to be like listening to a play, but the music for the different situations was really distracting and felt over-done. I enjoyed the story and the authors narration though! 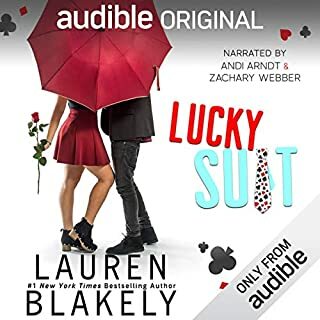 I didn't expect much as this was a free offering from Audible. Very interesting and pulled me in. It is acted out as a play. But the sound production was done well and I could imagine everything happening. Well done. A too common story of intergenerational and multicultural clashes within family and society. What’s up w awful sound system. At least I didn’t have to pay for book and it was short! The story is a good idea. I understand how this may be applicable to a teen girl - hard on herself due to expectations and traditions. But the sound quality is off it goes in and out and all over the place. The performer did not read as a book but more as a performance which may be too much for audible listeners. I understand that she was trying to be believable and authentic with emotion that character may have . However, the in and out , muffled at times and other sound issues , coupled with the performance caused one to really focus to gather the story line. I think that Amazon needs to do another edit and new release. 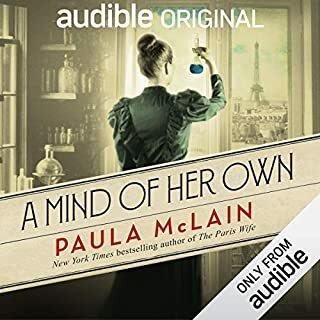 The story is timely and interesting, but the author's narration is very difficult to listen to - she delivers most lines as if she is on the verge of hysteria, and speaks so INCREDIBLY fast that it is difficult to catch every word. 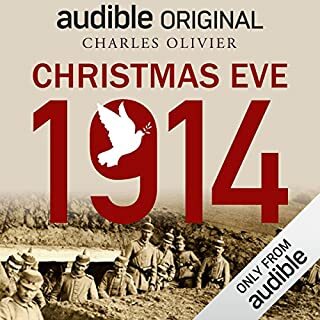 Combined with the character's strong accent, it became a chore, not a pleasure, to listen and attempt to understand the narration. The background noise and sound effects add nothing to the story, just make it harder to focus on it. Having said all that about the delivery, I liked the idea of telling this from the perspective of a young, cross-cultural girl. If Ms. Razia helps a few people discard their stereotypes of muslims who live in the U.S. or Europe, she will have accomplished something. Why the noisy and or up/down volumes?? Has to return, even FREE! Way too much background noise and hard to hear at times!! Sorry but I couldn’t make it past the first 5 minutes!! Star levels are average bc I had to enter something. Firstly... I get entirely what the author is trying to do with this, but... 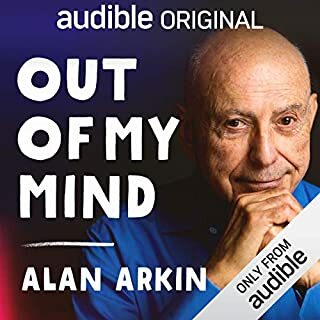 I just don’t feel that it works on an audiobook format. There’s a lot going on and it felt like the author was jumping all over the place in such a short amount of time.